Made with Mint, Pink, Lavender and Pale Yellow Tulle. Mint and Pink Lace. Gold Glitter Cardstock. Length is 14" L inches in picture shown. I will make any size, just message me. 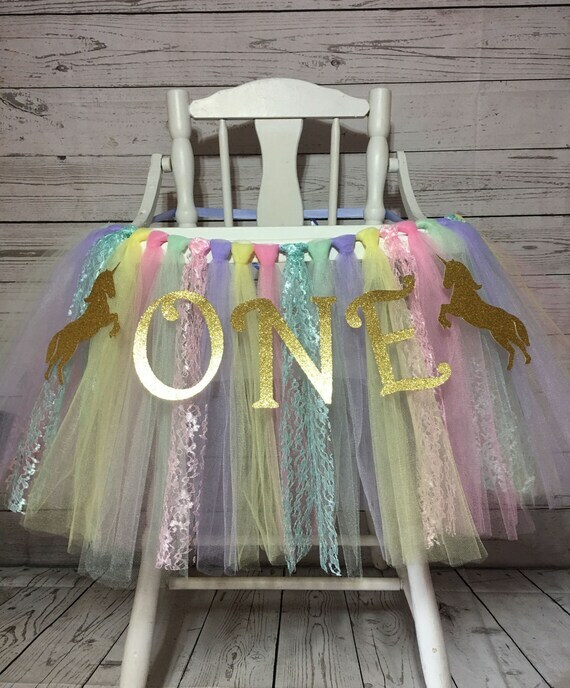 Gold "ONE" is 4" Tall and has Velcro on the back that will stick directly to the tulle once the tutu is hung. Gold Unicorns are 5.5 " Tall.